BlueHost Dedicated Servers now on ResellerClub! Dedicated Servers powered by BlueHost now Live on ResellerClub! Boy, are we excited to have another BlueHost product on board with us. Yep, we’re proud to announce a new addition to the ResellerClub ecosystem. In our previous article we spoke about how we envision ourselves to be a one stop market-place for our customers. We shall continue to integrate more brands with our platform over time. Keeping that aside, let’s talk more about Dedicated servers powered by Blue Host and why it’s now a part of the ResellerClub ecosystem. It goes without saying that Dedicated Servers ought to be reliable and resilient. They’re highly secure and pack a punch like no other in its league. Here are a few reasons for why Dedicated Servers powered by BlueHost are for you. 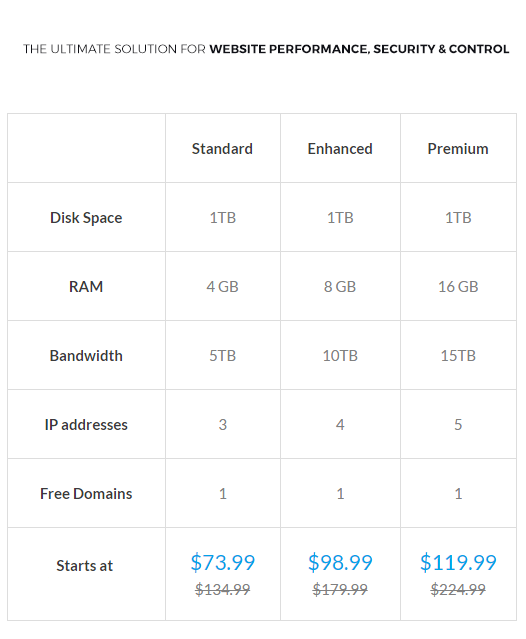 Why choose BlueHost Dedicated Servers? Add-ons – SAN storage (500 GB, 1TB, 2 TB, 4TB), WHMCS and Dedicated IPs. Looking for more details? You can have a look at our FAQ section for more details. Feel free to share your thoughts in the comments section below.